It was on the cards for sometime now and finally it has officially happened. 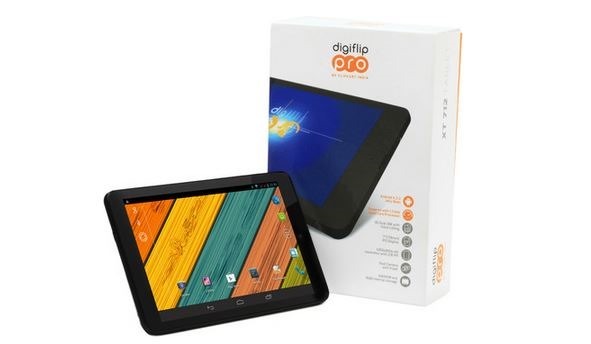 Flipkart has launched its own Android tablet under its Digiflip brand. The tablet is priced at Rs. 9999 and is focused on the entry level buyers. Also, it has Android 4.2.2 as its OS which can be upgraded and 16 GB internal memory upgradable to 32 GB. As it is clearly visible in the above table, Flipkart has brought the most affordable option to the market in the mid-range. With the option of this tablet, few would want to buy an option that is almost 50% costlier. Of course, this comparison is only with big brands and Indian brands like Micromax, Lava and Karbonn will obviously give Flipkart tough competition. Flipkart right now has to create a trust base and loyal customers and ensure that the services are up to the mark. Unless that happens, it will get stuck in the lower end of the spectrum and harm these brands little. This brings around Rs. 8000 worth goodies with the tablet which is not present with any other tablet option. Also, it creates a two way street where the users of this tablet will get the taste of Flipkart First and they might retain the subscription thereby giving Flipkart a continuous stream of revenue. In all, it is a great step from Flipkart if it can keep the product up to date and give good services. Currently, the after sales service will be handled by a network of 120 service centres in 100 cities with priority centres in 13 major cities. The company has been adding more products to its brand Digiflip and is probably going the Amazon way in this regard. Like Amazon, it is probably going to launch the tablet for less margins hoping to cover them in other ways.